The overall look of this new Esmé collection is decidedly transitional — exquisitely refined, rather unique and detailed. It is wide-ranging in style yet always modern in sensibility. The name of Esme’ comes from an old french origin, which means “esteemed; to love”. 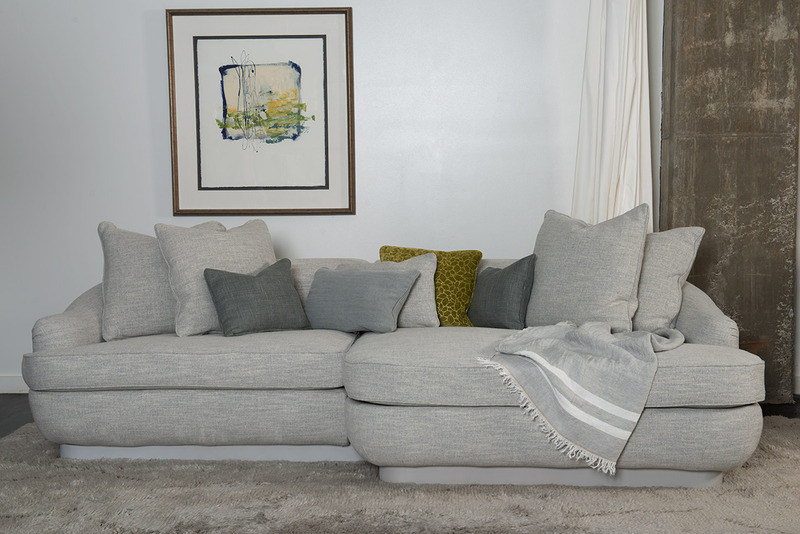 Generously proportioned, with a timeless, sensuous shape inspired by water-worn stones of the California coast, this sectional delights in confirming the intrinsic beauty of form following function. Accenting pillows invite clever arrangement.True luxurious comfort. 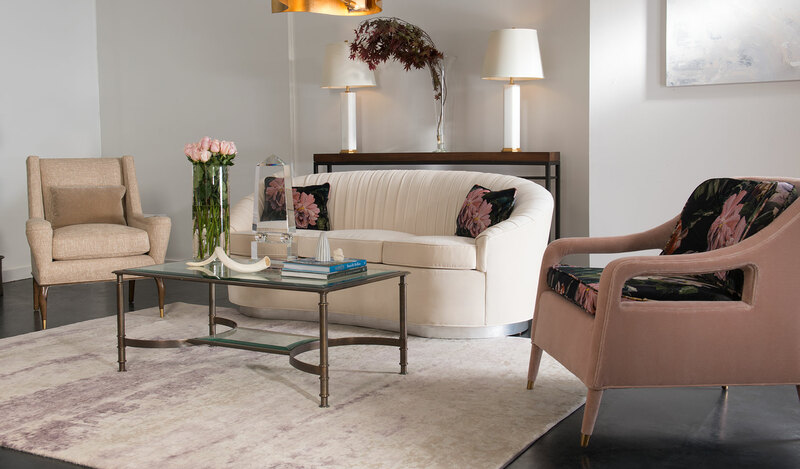 The Sweeping lines of this Piaf sofa and its beauty call to mind deco and sensuous forms of the 1930’s. 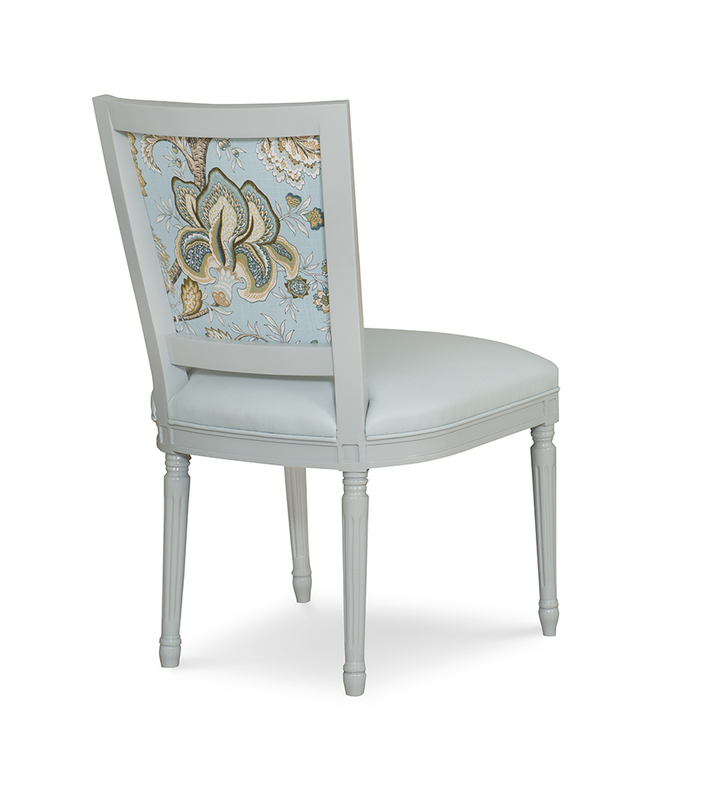 A continuous curved back with diamond tufting dips at the center to rise at each end. Even with its curvaceous style, this sofa sits well for inter-mate conversion or lounging. 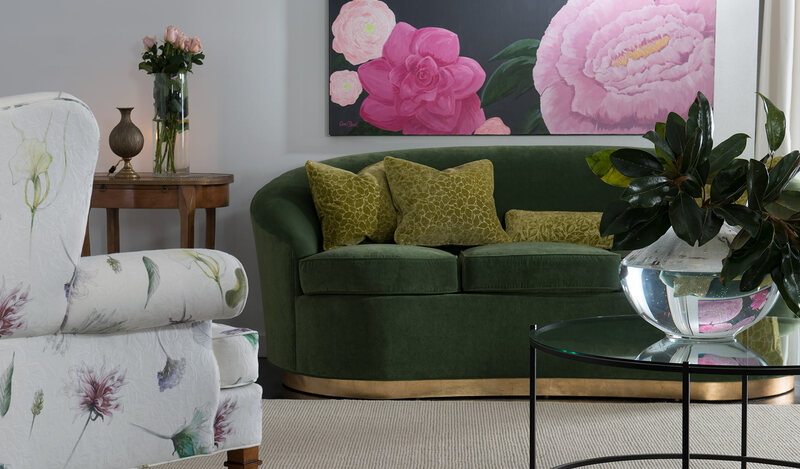 The Piaf Sofa features a choice of a pleated or plain smooth back, welt trim, and a plinth. It includes two 18″ x 18″ relax down throw pillows. 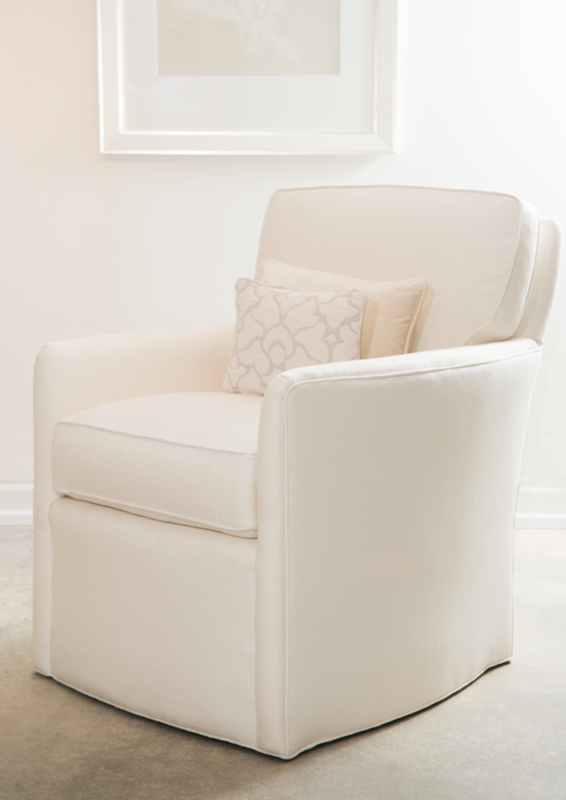 A favorite frame for our most talented pattern makers, the Aurora chair’s sleek, luxurious lines have that rare ability to complement both traditional and contemporary decors. features a relax down kidney pillow. 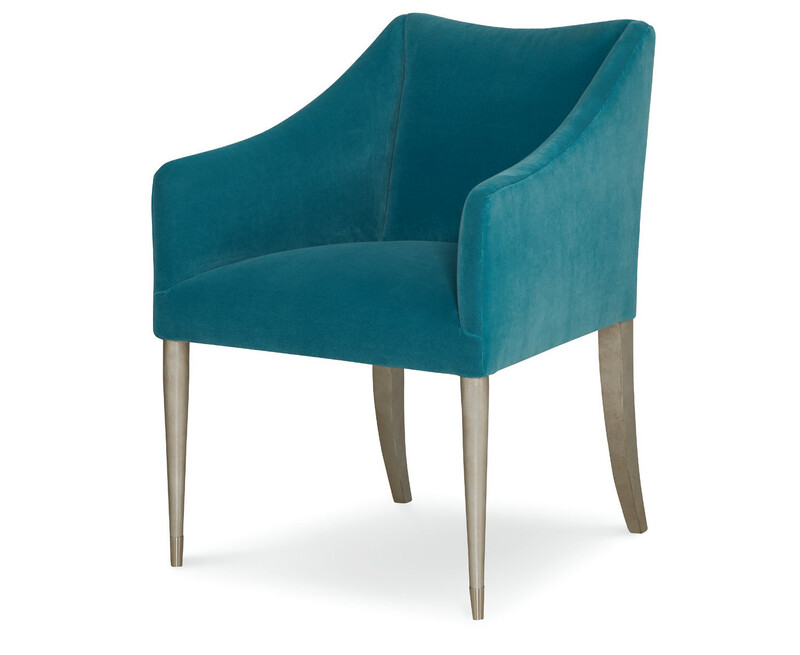 Seemingly deliberately designed to enhance interesting conversations, the Catherine chair swivels easily in any direction. 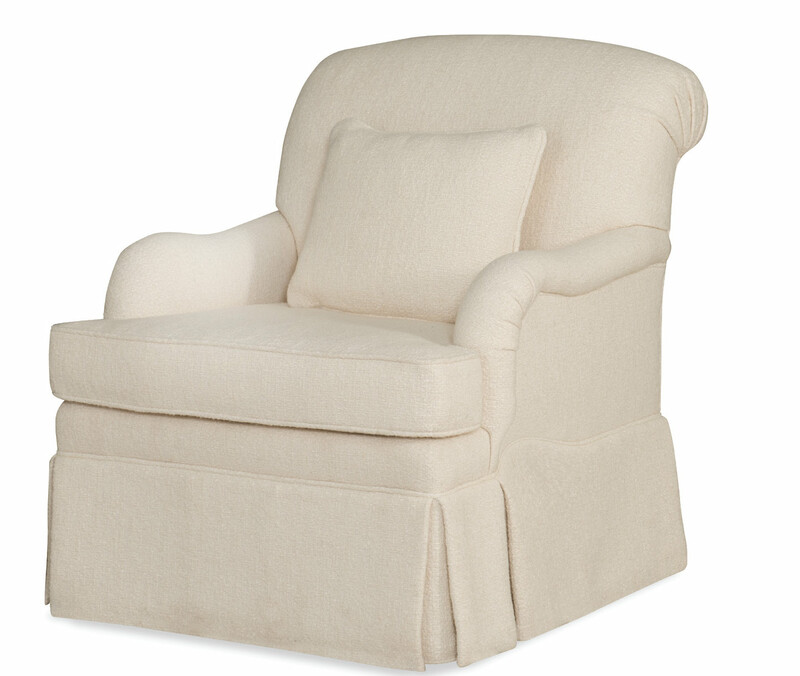 A perfectly contoured 36-back is carefully filled with cotton covered loose down encasing and memory foam. The waterfall skirt is a fashionable detail of this classic form. 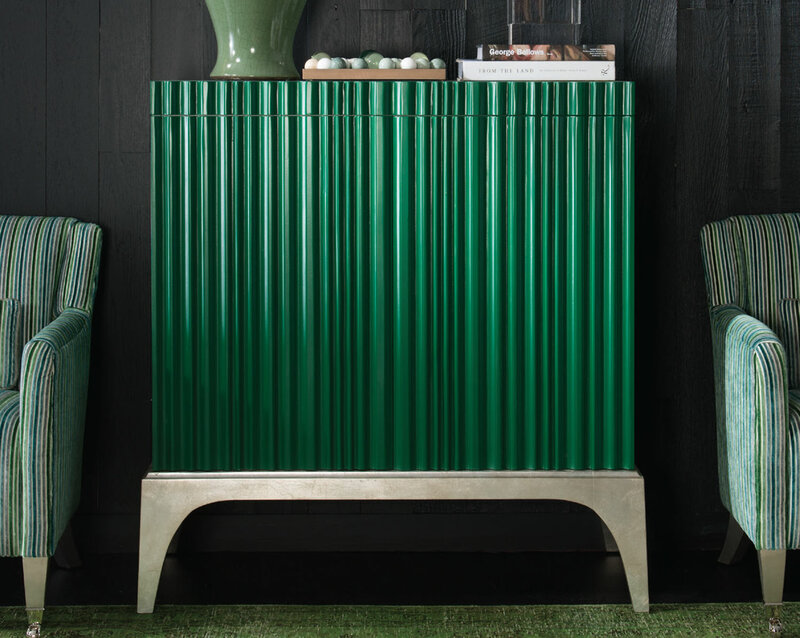 Named for one of most fashionable women ever to grace the French court, this exquisite chest is finished in a beautifully patterned emerald green. A gentle nudge triggers the hidden latches to open the doors. It rests on a silver leaf covered solid Maplewood base. 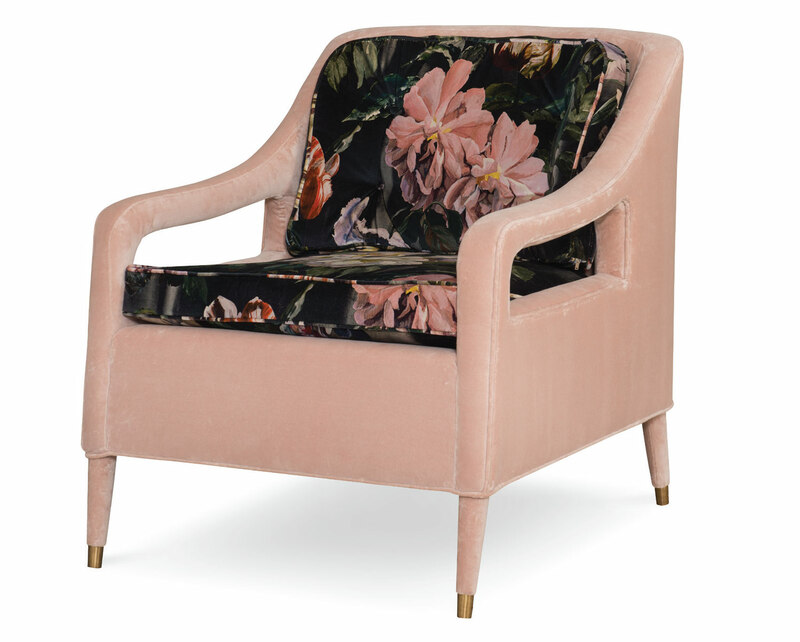 Displayed in a foyer or bedchamber, we daresay Queen Margot would approve. These chairs would be welcomed in the dining room of a 16th century House of Valois chateau, particularly if the family had a inclination toward the avant garde. 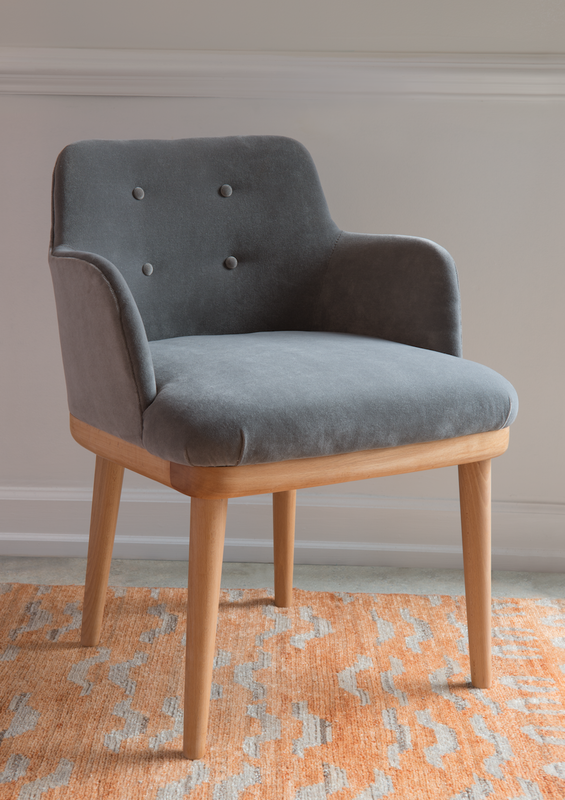 Meticulously crafted of the finest maple, with hand-carved trim outlining both the back and legs, this is both a tribute and reinvention, destined to occupy a favored place in the finest homes. 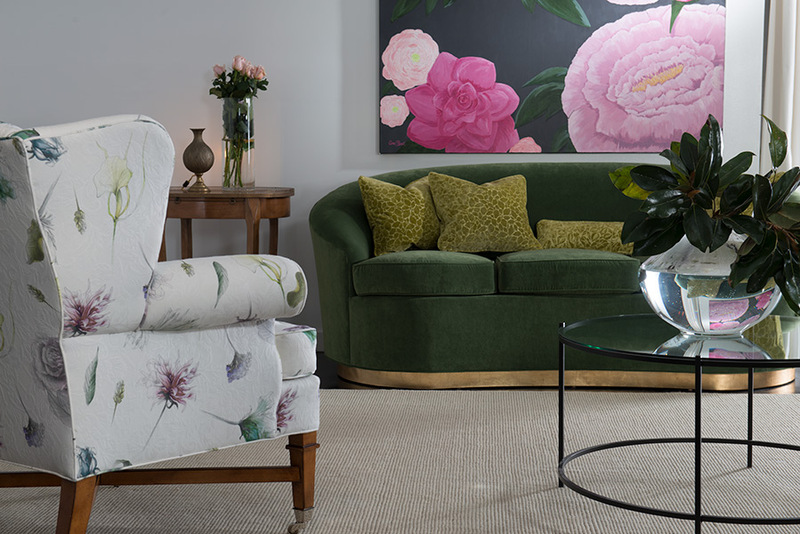 With its open arms and fabric-covered legs, the Laurence chair has an elegant and understated form, appropriate for both home and coastal retreat. It’s beauty is rivaled only by its comfort and exemplary fit and finish. 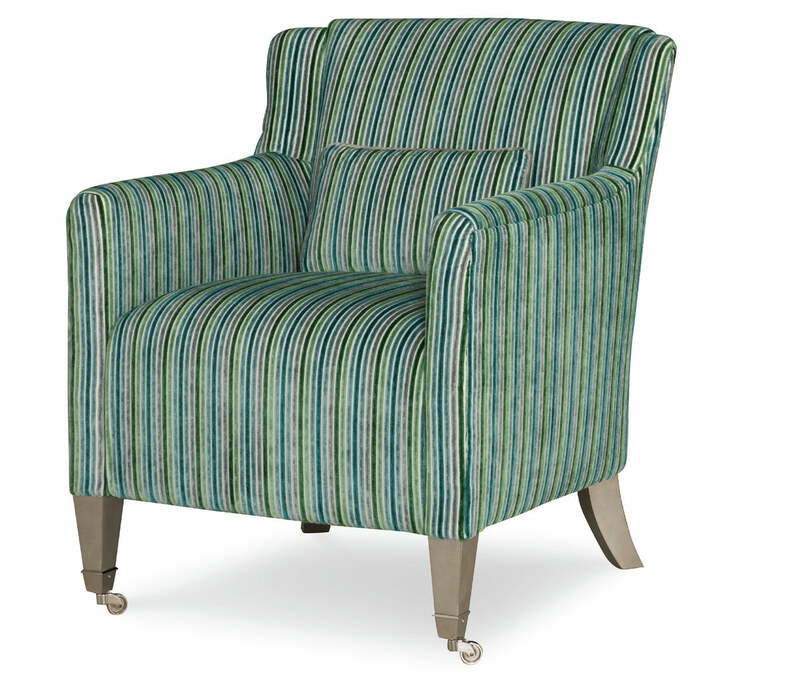 The Angelique breathlessly swivels providing ease and fits within the lifestyle of todays relaxed needs. It’s simple curves, ever so gently hold you cosseted in duck down overlay seat and 75\25 down feather cushion with an inner Mercitel core. At first glance, the Luic bed can appear to be defying gravity, floating gently inches from the floor. 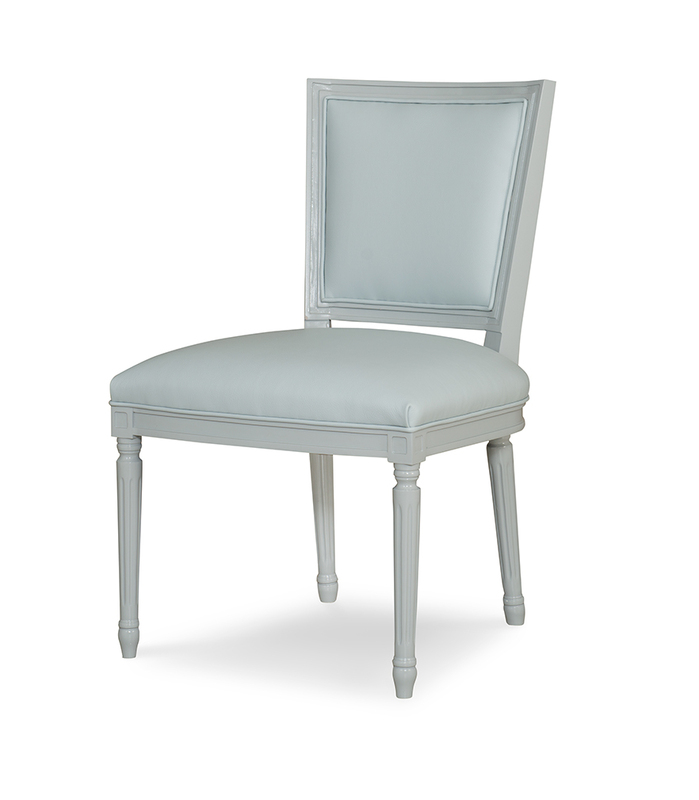 The graceful form and handcrafted upholstering are a tribute to Parisian joie de vivre. 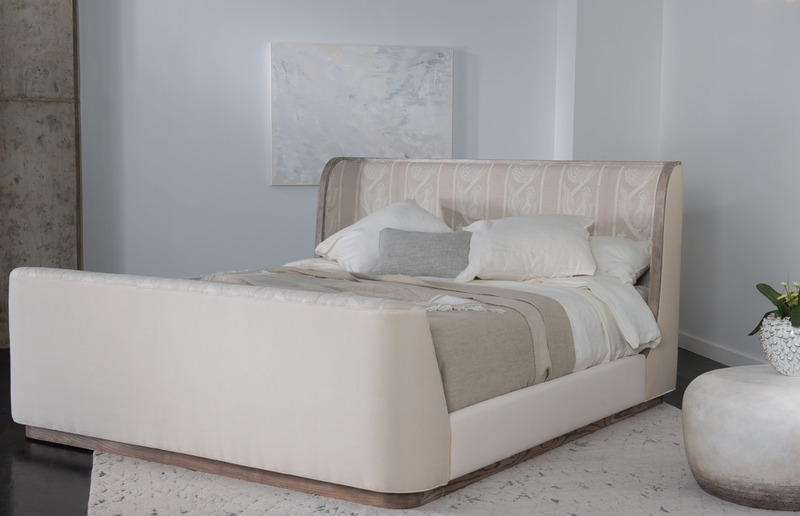 With its lower height headboard and fully covered contoured back, the Luic bed can command the center a room, floating in a studio guest space easily, or be placed in those coveted New England homes with their low slanted ceilings. 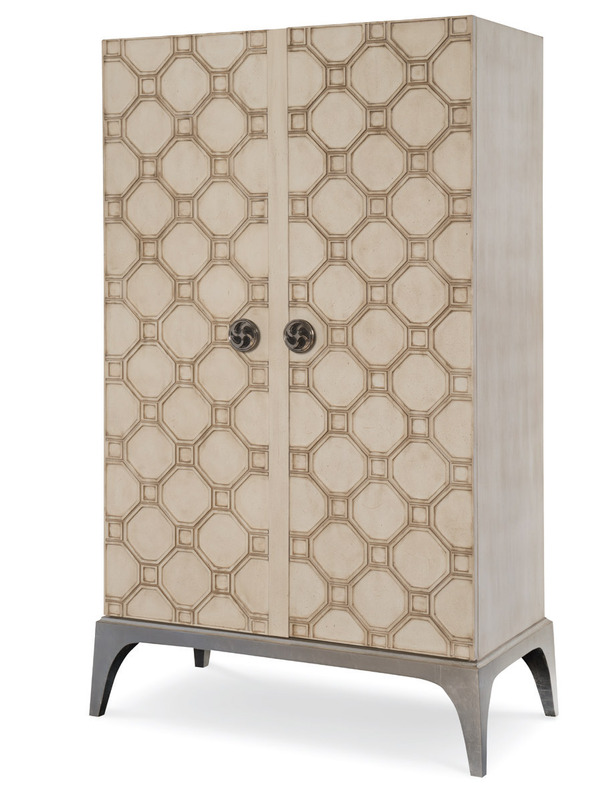 Towering, stately doors conceal crockery, linen, or clothing. There are two adjustable shelves with shirt partitions. The fine door jewelry is uniquely designed and created in the USA. Available in bronze, silver or pewter finishes. The Sebastian dining table shows architectural influences. 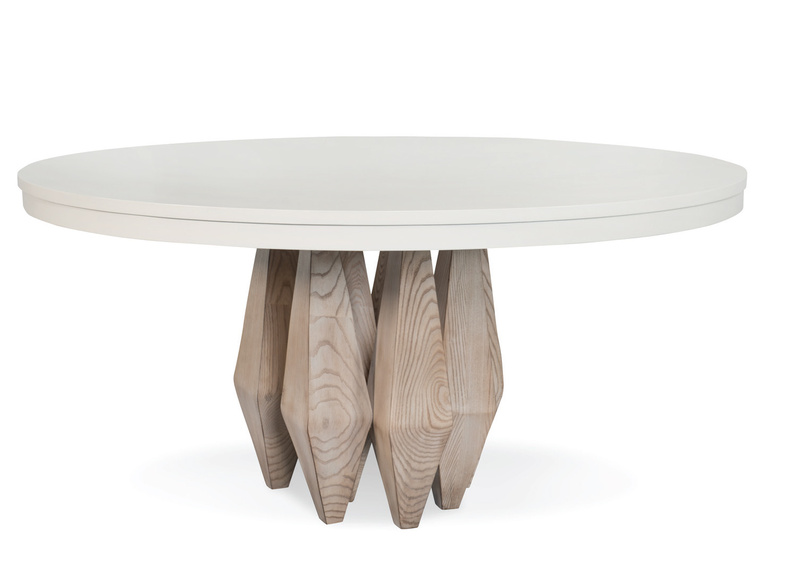 Sitting on seven solid maple diamonds, the legs in solid Ash with a driftwood finish, support a circular top in a solid maple base nicely accented in a creme finish. (please see finish choices on our wood finish page for your choice to compliment your home).